The development of knowledge and systems relies on infrastructures and testing facilities requiring ongoing investments (test tanks, metrology laboratories, assembly plants, computing platforms). Research also requires ocean observation infrastructures to collect data (oceanographic research vessels, satellites, etc.) and digital infrastructures to compile, consult and exchange large amounts of information easily. To carry out its research IFREMER relies on operational oceanography. 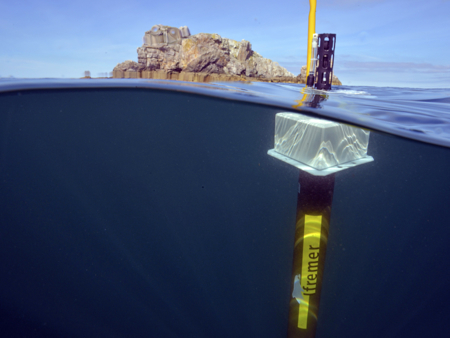 Measurements via satellite and in situ measurements of various parameters (temperature, salinity, pH, oxygen concentrations) are essential for a good understanding of the physical, chemical, biological and climate processes that govern the oceans. 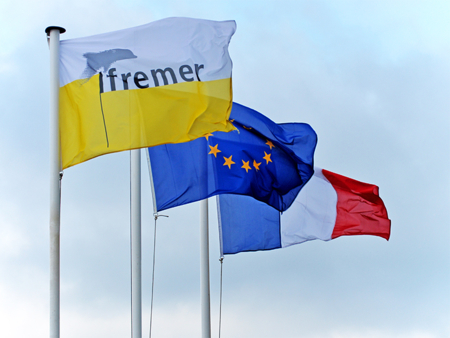 The French oceanographic research vessels and services of the CNRS, IFREMER, IPEV and IRD together form a Large Research Infrastructure Flotte océanographique française (FOF) created in 2008. To store all the national and international data collected as part of operational oceanography, there are several digital infrastructures that provide easy access for researchers to the vast information on the world’s oceans.